Unicorn - What Does It Mean? 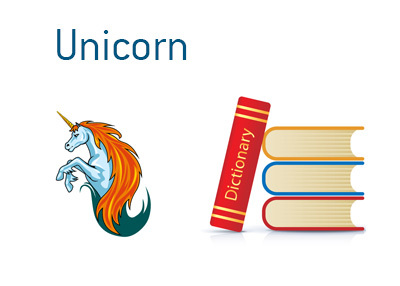 What does the term "unicorn" mean in the business world? What is the definition of the term "unicorn"? The term "unicorn" is used in the business world to describe a privately held company that has a valuation of at least $1 billion. Before going public in 2012, Facebook, for instance, was considered a "unicorn" as they had a value of well over $1 billion. "Hot" privately held companies, usually in the technology or biotechnology industries, can occasionally command a valuation of over $1 billion. The term "unicorn" was popularized by Aileen Lee in her article title "The Unicorn Club: Learning From Billion-Dollar Startups". In her article, Lee detailed the most recognizable unicorns of the past twenty years, including Google and Facebook. Prior to going public, both companies had valuations of well in excess of $1 billion. In some cases, "unicorns" will go public and command even higher valuations. In other cases, such as Groupon, the company executives would have been wise to accept a buyout deal when the company was still public. Groupon was famously offered billions of dollars by Google, only to turn it down and go public. This move was a mistake, as Groupon's market capitalization is quite a bit lower than the buyout offer from Google.